— “Interview with Dylan: 09/29/95”. Fort Lauderdale Sun Sentinel. The Paisley Underground scene of L.A. bands of the 1980s — of which David Roback’s bands Rain Parade, Clay Allison, Opal, and Mazzy Star were a part — was in part inspired by 1960s rock/psychedelia. This Rainy Day album was David’s project. It contains covers of nine of his favourite songs from the 1960s, and one from the 1970s (“Holocaust”). He enlisted musicians and singers from a variety of Paisley Underground bands to collaborate on the album. A Jimi Hendrix cover, released on the limited edition UK CD single of “Cornflake Girl” in 1994. To date it is one of the few Amos recordings that has not been re-released in a collection or boxed set, or made available digitally — which is a shame, because it’s one of my favourite things she’s done. From Electric Ladyland (Reprise Records, 1968). Bizarre clip from semi-psychedelic girl group The Cake performing “You Can Have Him”. The catatonic chick in green is Jeanette Jacobs (1950-1980). The other two members are Chelsea Lee & Barbara Morillo. 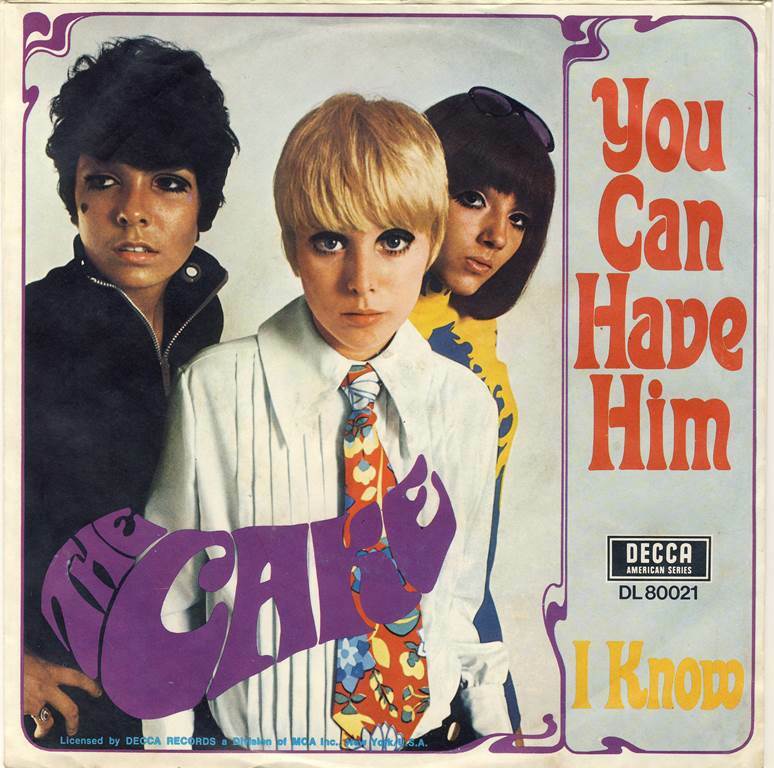 The Cake wrote their own songs, and recorded two albums: The Cake (Decca, 1967), and A Slice Of Cake (Decca, 1968), which were re-released as a collection on CD in 2007 by RevOla. Read about the group’s crazy history in the liner notes for the remastered collection, More of The Cake, Please, published over at Dangerous Minds.